hd00:10Airport, Faro PORTUGAL - OCTOBER 13, 2017. 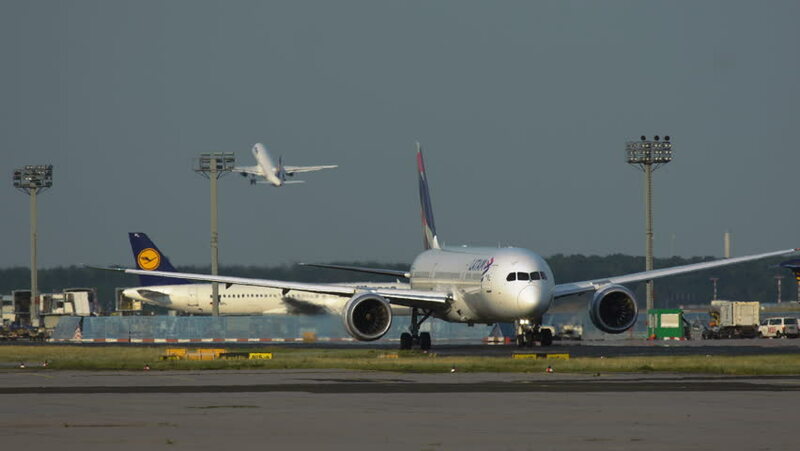 Landing and take-offs of aircraft, checking disembarkation and landing of passengers. 4k00:21LOS ANGELES - SEP 27, 2015: An Airbus A320 at LAX on Sep 27, 2015 in Los Angeles. Ongoing renovations of LAX runways have resulted in longer taxi runs from the North terminals.